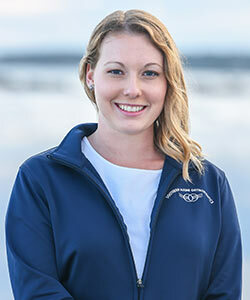 Danielle was born and raised in Southern Maine and joined the Southern Maine Orthodontics team in the fall of 2018. She is a graduate of Thornton Academy and then later attended S.M.C.C. and also considers herself a lifelong learner. She is also the owner and operator of Sparks Orthodontic Laboratory which was established in 2014. Sparks Orthodontic Laboratory makes most of the appliances for our patients, including retainers, bite plates, and palate expanders. She now enjoys working clinically and seeing how her work helps create a more beautiful smile. When she is not working Danielle enjoys gardening and being outside in general. She currently resides in Southern Maine with her boyfriend and their calico cat Flora. Together they have a dozen chickens and a large garden in the summers. They both enjoy cooking and coming up with ways to use the produce from their garden. They also enjoy spending their free time hiking, camping, and traveling to places near and far.